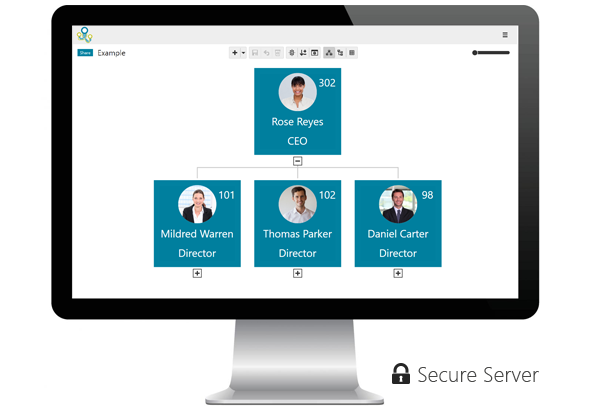 Create organizational charts in record time. Prepare for smart org changes. 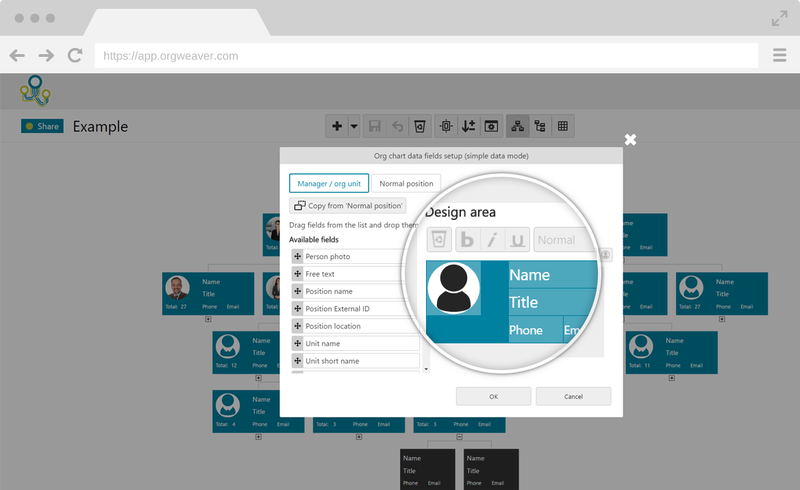 Share beautiful online org charts. 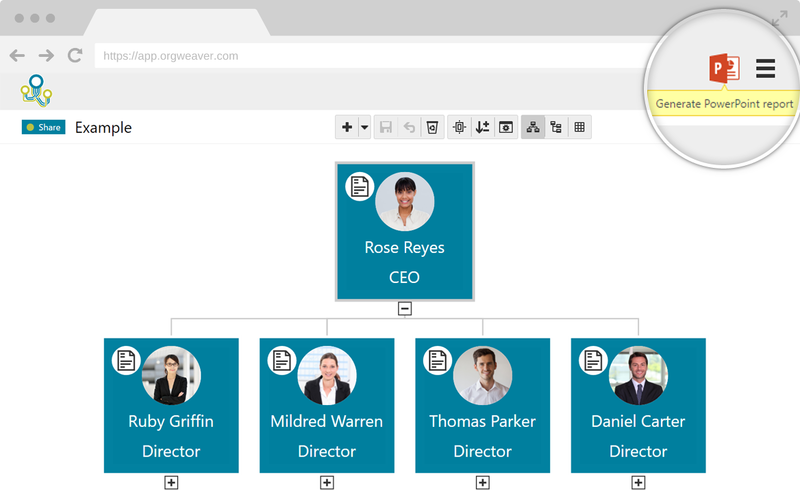 Automatically format your org chart to perfectly fit. Never draw a box again. Move your people into new positions in a flash. Drag & drop entire units/departments to change your structure. Built-in tutorials and chat are included. Simple pricing on design, integration, and training services. Create org chart colors that perfectly fit your brand. Requires a paid subscription. Search by person, title, position description, unit/department name, and others. Zoom right in. Publish online, on your intranet, or export to PDF or PowerPoint. 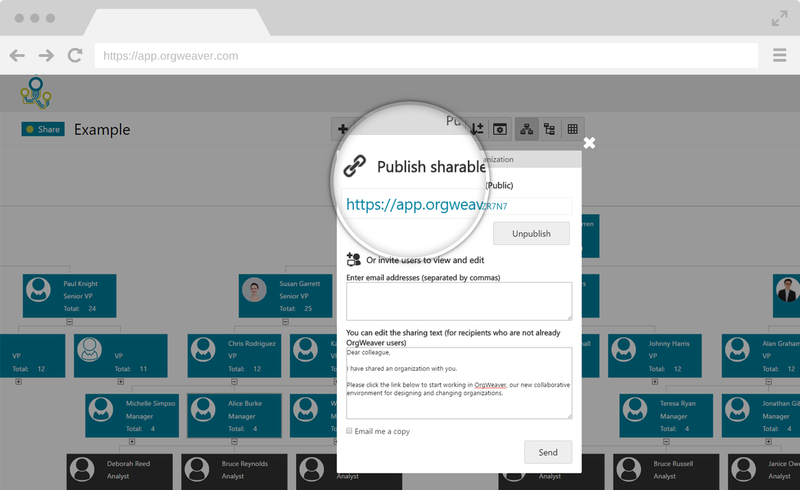 OrgWeaver is easily comparable to the much more expensive and well-known products (where some of your features are actually better than other companies), and the features are easy to use and pretty intuitive at first use. OrgWeaver helps me sell more efficiently. I can map out my 20 accounts quickly. I recommend it to anyone who wants to spend less time making accurate org charts. I was able to deliver on time without the stress and wasted hours of keeping track of spreadsheets and post-it notes. Throughout the process, any challenge I had was solved directly and quickly by the support team behind OrgWeaver.